2017.01: LMDE 2 "Betsy" received new updated installation images. 2015.04: LMDE 2 "Betsy" was released. 2014.03.02: LMDE 201403 (MATE and Cinnamon) was released. 2014.02.22: LMDE 201403 RC (MATE and Cinnamon) was released. 2013.03.22: LMDE 201303 (MATE and Cinnamon) was released. 2013.02.23: LMDE 201303 RC (MATE and Cinnamon) was released. 2012.04.24: LMDE 201204 (MATE/Cinnamon and Xfce) was released. 2012.04.11: LMDE 201204 RC (MATE/Cinnamon and Xfce) was released. 2011.09.16: LMDE 201109 (Gnome and Xfce) was released. 2011.08.18: LMDE 201108 RC (Gnome and Xfce) was released. 2011.04.06: LMDE 201104 Xfce was released. 2011.03.21: LMDE 201104 RC Xfce was released. 2011.01.02: LMDE 201101 32-bit re-spin. 2010.12.24: LMDE 201012 was released. 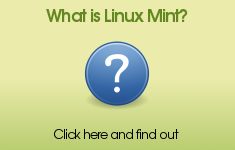 2010.12.02: Mint 10 features were added to LMDE. 2010.09.07: LMDE 201009 Gnome was released.